Outside the stagnant channels of "mainstream" science, leading research is now showing the vortex to be a vital key in understanding the subatomic level of nature. This comprehensive book is Krafft?s masterwork covering: The Hydromechanical Ether, Subatomic Vortices, The New Vortex Atoms, Radioactivity and Atomic Fission, the Nuclear Theory Disproved, and more. 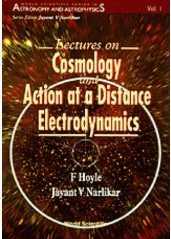 This book describes the subject of electrodynamics at classical as well as quantum level, developed as an interaction at a distance. Thus it has electric charges interacting with one another directly and not through the medium of a field. In general such an interaction travels forward and backward in time symmetrically, thus apparently violating the principle of causality. It turns out, however, that in such a description the cosmological boundary conditions become very important. The theory therefore works only in a cosmology with the right boundary conditions; but when it does work it is free from the divergences that plague a quantum field theory. Anthology of breakthrough energy science papers from the First International Conference on Future Energy. Profusely illustrated, there are sixteen articles and an additional forty pages of slide presentations from the conference. 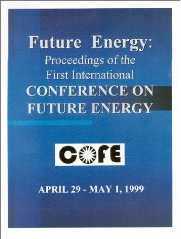 Topics include: charge clusters in action, betavoltaic batteries, carbon arc gasification, release of chemical bond energy, zero point energy, free energy secrecy, new methods for nuclear reactions, speed of gravity, effective radioactive waste remediation, breakthrough power unit, wind energy, pulsed abnormal discharge, electric energy and the future, room temperature superconductors, casimir effect with vortex filaments, electrostatic motors, and advanced automotive. Discount coupon for CD-ROM version of COFE Proceedings with twenty (20) hours of digital audio lectures. The best biography written on one of the most amazing men of the 20th century, or perhaps of all-time. Nikola Tesla was one of the world's greatest inventors, and definitely its most mysterious. To say that Telsa was ahead of his time is putting it rather mildly. Most of his inventions were so advanced that the public had a difficult time grasping just how important they really were. Although Marconi is often credited with the invention of radio, the real credit goes entirely to Tesla. A long-running battle between the two ended when American courts essentially invalidated Marconi's radio patent, and awarded credit for the invention to Nikola Telsla. In addition to radio, Tesla also invented Alternating Current (AC), which is the form of electricity used to deliver power to most homes and businesses on earth. He also patented hundreds of other inventions, many of which are in use today. Others are yet to be understood by modern scientists. Complete unpublished book (23 Mb). This is the transcript of an extended three day interview of Nikola Tesla conducted by his legal counsel in 1916 in preparation for expert testimony in impending radio patent cases. 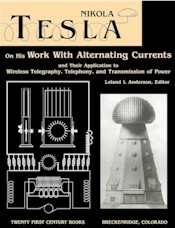 In an account that was never intended for publication, Tesla describes his pioneering investigations into the nature of alternating currents as applied to wireless transmission. In a style uniquely his own, he carefully traces his work from the first high frequency alternators that were constructed at his Grand Street laboratory in New York City, and their associated tuned circuits through the establishment of his huge broadcasting facility, the mighty Wardenclyffe Plant, located at Shoreham, Long Island. 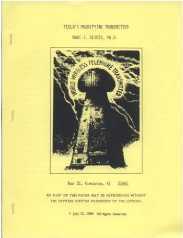 Among the variety of topics discussed are: high frequency alternators, experiments with wireless telegraphy and telephony, mechanical and electrical oscillators, the Colorado experiments, theory and technique of energy transmission, the Long Island plant, and arrangements for receiving. The previously untold story found within the pages of this remarkable book has been described by the prominent Tesla researcher James Corum as a "veritable Rosetta stone" for tracing the technical thoughts of one of our most distinguished engineering scientists. Fig. 1. Photograph of Tesla with alternator in offices of The Westinghouse Electric & Manufacturing Co., May 10, 1938. Fig. 2. Photograph of 1915 shipboard transmitter employing the Tesla spiral form of antenna transformer coil. Tesla's description of Long Island plant and inventory of the installation as reported in 1922 foreclosure appeal proceedings. 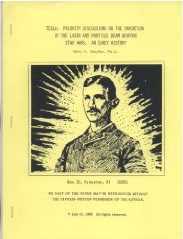 In this, the third book of the Tesla Presents Series, engineer-historian Leland Anderson provides the transcript of the 1902 U.S. Patent Interference investigation concerning Tesla's System of Signaling. The document, "Nikola Tesla vs. Reginald A. Fessenden," which is no longer on file at the U.S. Patent Office, contains Tesla's own depositions as well as those of his closest and most trusted associates, George Scherff and Fritz Lowenstein. Included is material on the history of radio-controlled devices, the first practical form of these being Tesla's radio-controlled "telautomaton" ? an operational boat first demonstrated to the public at Madison Square Garden in 1898. In addition to describing Tesla's "individualization" techniques for obtaining secure noninterferable radio communications?the patent is today recognized as the fundamental AND logic gate, a critical element of every digital computer?the interference record also reveals that essential features of the spread-spectrum telecommunications techniques known as frequency-hopping and frequency-division multiplexing have their roots in the resulting patents. Furthermore, there are new disclosures by Tesla on the operation of his large high voltage radio-frequency oscillators at both the Houston Street laboratory and the Colorado experimental station. Rarely in the history of science do we encounter such opportunities to gain deep insight into the fundamental ideas and concepts of an esteemed scientist/inventor. A. U.S. Patent No. 613,809, "Method and Apparatus for Controlling Mechanism of Moving Vessel or Vehicles," Nov. 8, 1898. B. U.S. Patent No. 645,576, "System of Transmission of Electrical Energy," Mar. 20, 1900. C. U.S. Patents, Nos. 685,953, 685,954, 685,955, and 685,956, Nov. 5, 1901, on utilizing effects transmitted through natural media. U.S. Patent No. 723,188, "Method of Signaling," Mar. 17, 1903. U.S. Patent No. 725,605, "System of Signaling," Apr. 14, 1903. E. U.S. Patent No. 787,412, "Art of Transmitting Electrical Energy Through the Natural Mediums," Apr. 18, 1905. In the 1930s the unorthodox inventor Nikola Tesla announced to the world a pair of novel inventions. The first was "teleforce," a particle-beam projector which Tesla intended to be used as an instrument of national defense. A year later, in 1935, Tesla claimed a method of transmitting mechanical energy with minimal loss over any terrestrial distance, providing a new means of communication and a technique for the location of subterranean mineral deposits. He called this system for mechanical power transmission "telegeodynamics." Here, these two important papers, hidden for more than 60 years, are presented for the first time. The underlying principles behind teleforce and telegeodynamics are fully addressed. 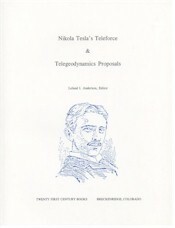 In addition to copies of the original documents, typed on Tesla's official stationery, this work also includes two Reader's Aid sections providing guidance through the more technical aspects of each paper. The actual texts are followed by Commentary sections which provide historical background and functional explanations of the two devices. Significant newspaper articles and headline accounts are provided to document the first mention of these proposals. A large Appendix provides a wealth of related material and background information, followed by a Bibliography section and Index. New York Times, September 22, 1940, "'Death Ray' for Planes"
New York Times, July 11, 1935, "Tesla, 79, Promises to Transmit Force"
Detroit Free Press, Jan. 18, 1896, "Tesla's Health Giver"
What is the reality of the universe? This question should be first answered before the concept of God can be analysed. Science is still in search of the basic entity that constucts the cosmos. God, therefore, will be a system too complex for science to discover. Unless the basic reality of aakaash (space) is recognized, neither science nor spirituality can have a grasp of the Creator, Sustainer and Destroyer of this gigantic phenomena that the Vedas named as Brahman. Einstein has been a stumbling block for progress in light theory for almost one century. If we use the first Michelson Morley experiment (MMX), science has failed to accept physical evidence proving light's medium to be co-moving with the Earth for 121 years now. First Lorentz' Ether Theory (LET) was invented, to hang on to the rigid aether (light medium), to be shortly superseded by relativity, an absurd variation on it. 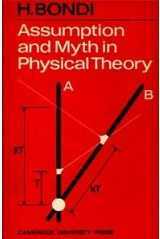 LET is a no-physical-causes "math-trickery" theory, relativity is even self contradictory, which is to be proven by this "paper". Often it is claimed that the "dragged light-medium" theories (the light medium, whatever it is, locally co-moving with the Earth) cannot explain "stellar aberration" (starlight is refracted towards the direction of motion of the Earth), however three physical solutions are proposed (see appendix and chapter 24). Furthermore the mystical duality of light - particle and wave - is probably solved in favor of waves in appendix 3, making the case for a classical wave theory. 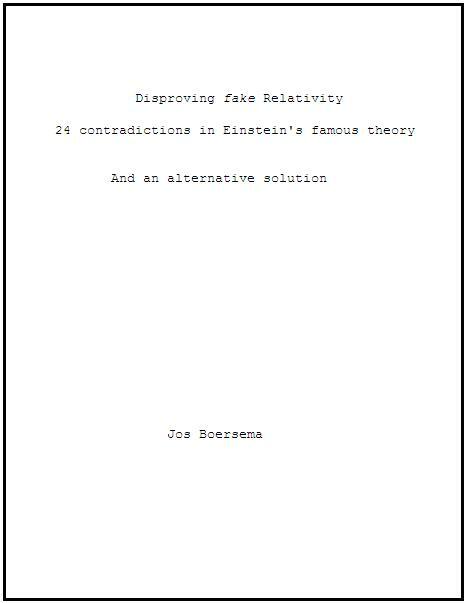 But the main point of this paper is to provide enough inescapable proof that relativity is a self-contradiction, and therefore formally disproven. 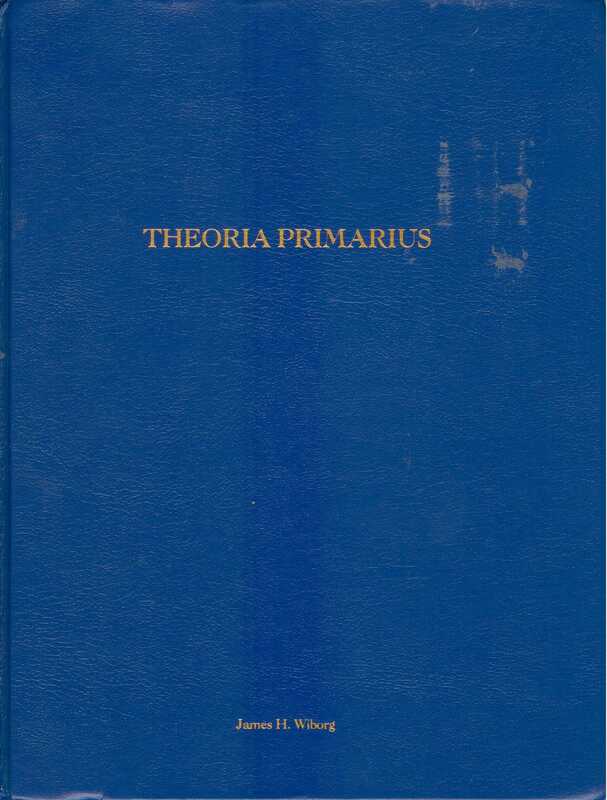 This long awaited and thoroughly updated version of the classic text (Plenum Press, 1970) explains the subject of electrochemistry in clear, straightforward language for undergraduates and mature scientists who want to understand solutions. Like its predecessor, the new text presents the electrochemistry of solutions at the molecular level. 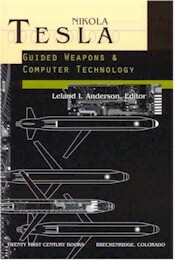 The Second Edition takes full advantage of the advances in microscopy, computing power, and industrial applications in the quarter century since the publication of the First Edition. Such new techniques include scanning-tunneling microscopy, which enables us to see atoms on electrodes; and new computers capable of molecular dynamics calculations that are used in arriving at experimental values. Chapter 10 starts with a detailed description of what happens when light strikes semi-conductor electrodes and splits water, thus providing in hydrogen a clean fuel. There have of course been revolutionary advances here since the First Edition was written. The book also discusses electrochemical methods that may provide the most economical path to many new syntheses - for example, the synthesis of the textile, nylon. The broad area of the breakdown of material in moist air, and its electrochemistry is taken up in the substantial Chapter 12. Another exciting topic covered is the evolution of energy conversion and storage which lie at the cutting edge of clean automobile development. Chapter 14 presents from a fresh perspective a discussion of electrochemical mechanisms in Biology, and Chapter 15 shows how new electrochemical approaches may potentially alleviate many environmental problems. 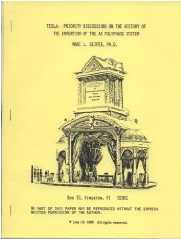 This work is an advanced version of the authors' landmark undergraduate text, Modern Electrochemistry. It presents the frontiers of research in photoelectrochemistry, bioelectrochemistry, the electrochemistry of cleaner environments, and other areas to help the professional electrochemist design cleaner, more economical sources of electricity.